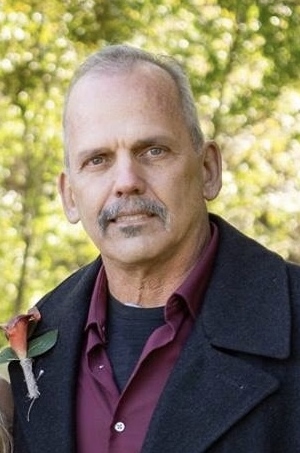 Albert Moore, Jr., 57, a lifelong resident of Connersville, passed away Tuesday morning surrounded by his loving family and friends. A son of Albert, Sr. and Opal Rose Moore, Albert was born on November 20, 1961, and graduated from Connersville High School with the class of 1980. For over 37 years, Albert was a union carpenter and later became a construction supervisor. He was associated with Harmon Construction Company of North Vernon, Indiana, retiring in 2017. In his leisure time, Albert enjoyed golfing, woodworking, and creating stained glass. Besides his mother, Opal Moore of Connersville, survivors include a son, Tony (Tanya) Moore of Connersville; six grandchildren, Meranda (Austin) Rose, Talon Moore, Quinton Moore, all of Connersville, Lana Fritts, Christopher Fritts, and Heaven Fritts; six siblings, Trudy Henry, Arlen Caldwell, Sally (John) Cornette, all of Connersville, Brent (Melissa) Caldwell of Muncie, Indiana, Troy Moore of Connersville, and Lavita (Mark) Ward of Boston, Indiana. Albert is blessed with many nieces, nephews, and cousins. He is preceded in death by his father, Albert Moore, Sr.; two brothers, Carlos Caldwell and David Clark. Funeral services will be conducted at 11:00 a.m. on Saturday, April 20, 2019, at Miller, Moster, Robbins Funeral Home with Reverend Shawn Tipton officiating. Burial will follow in Everton Cemetery. Friends may call from 4:00 until 8:00 p.m. on Friday, April 19, 2019, at the funeral home.